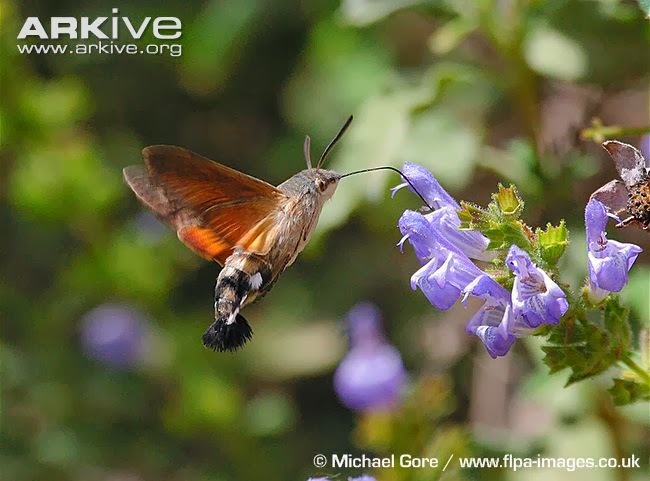 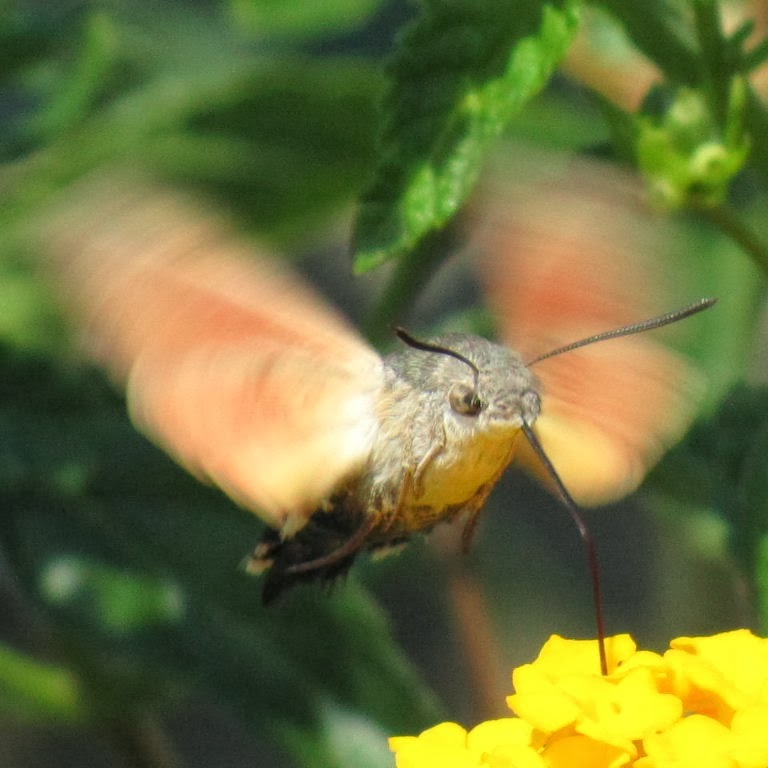 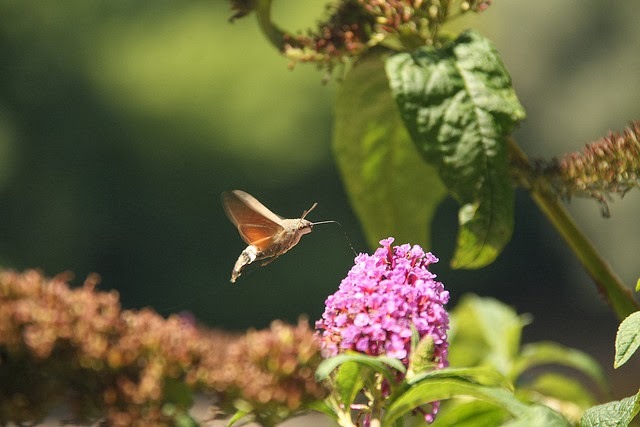 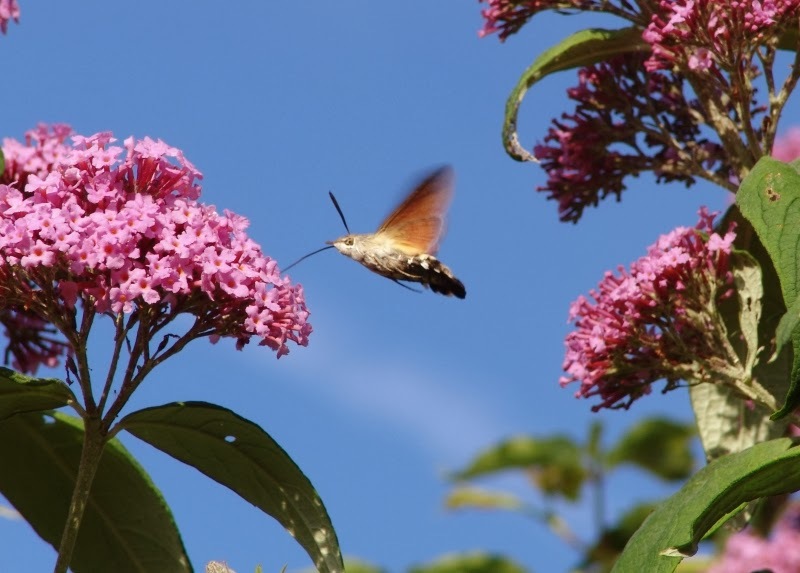 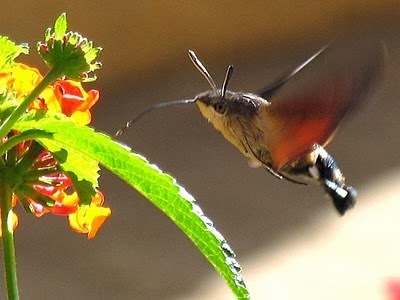 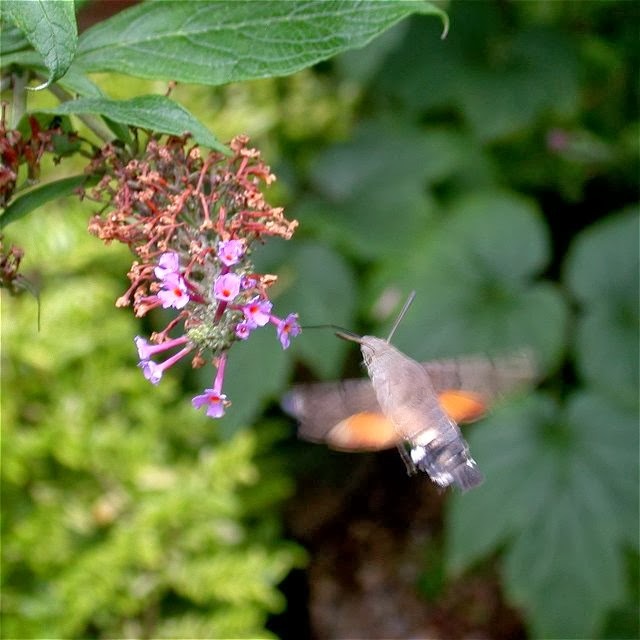 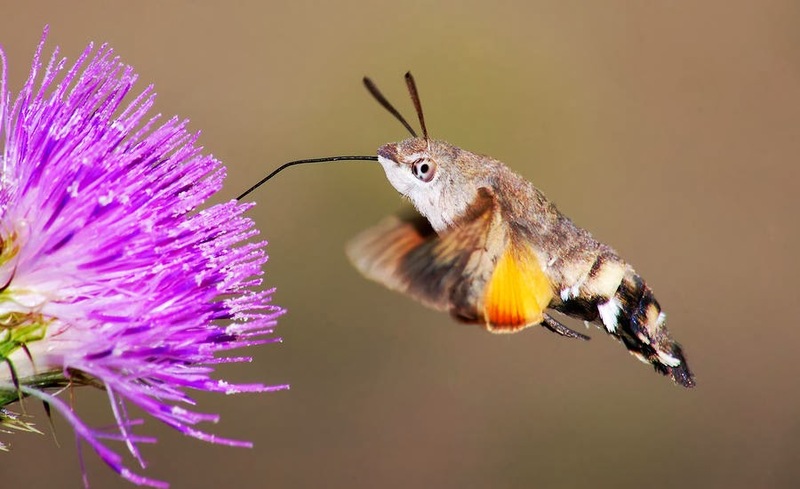 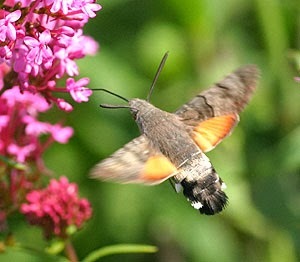 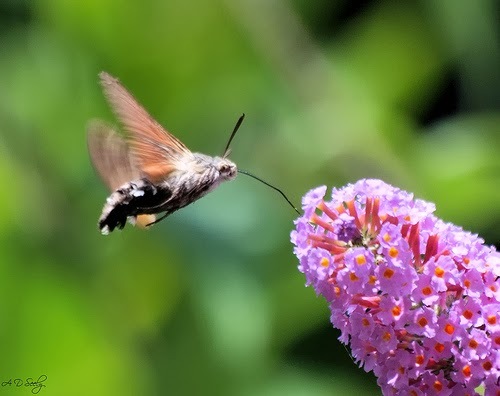 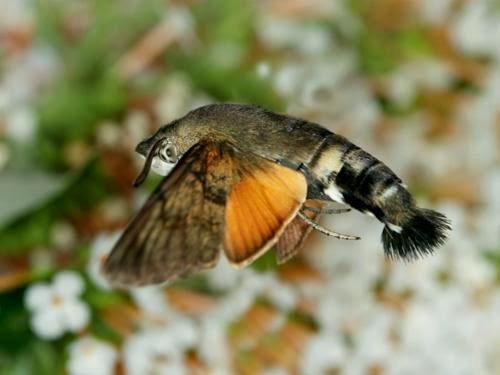 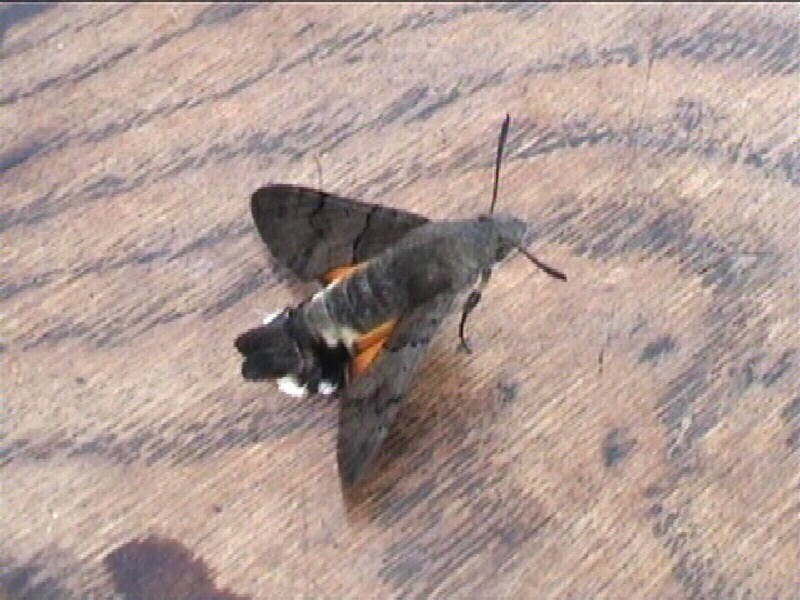 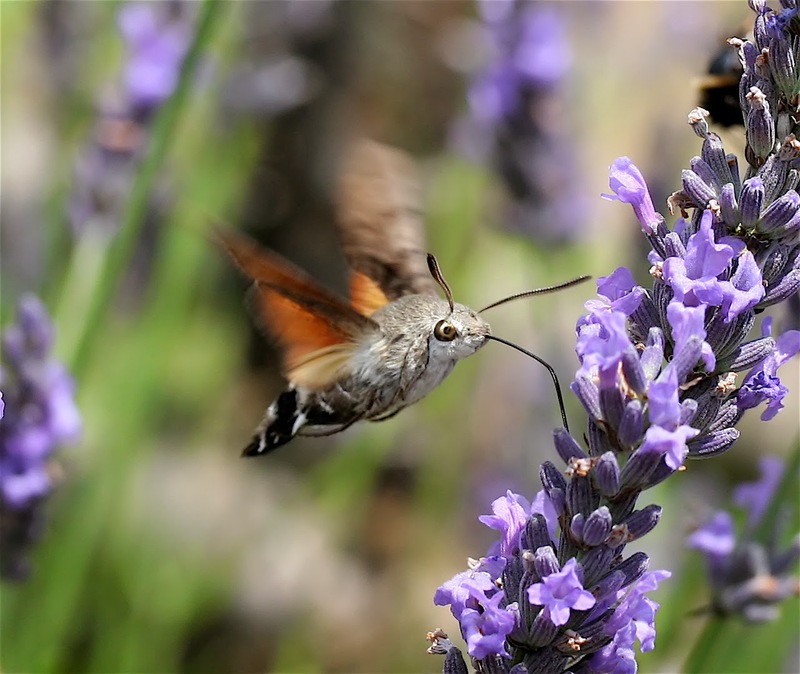 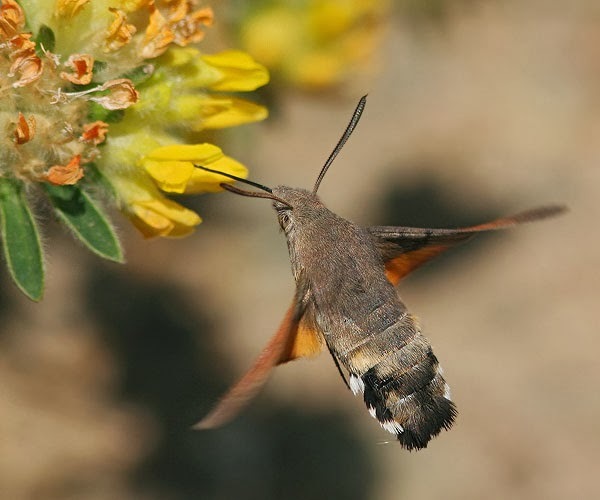 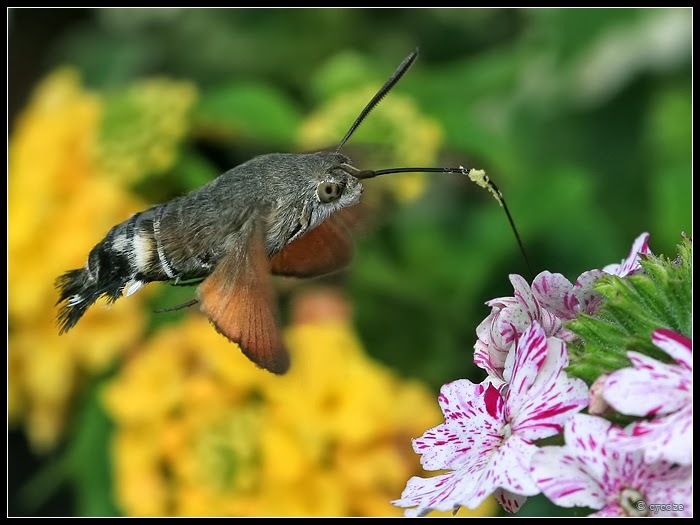 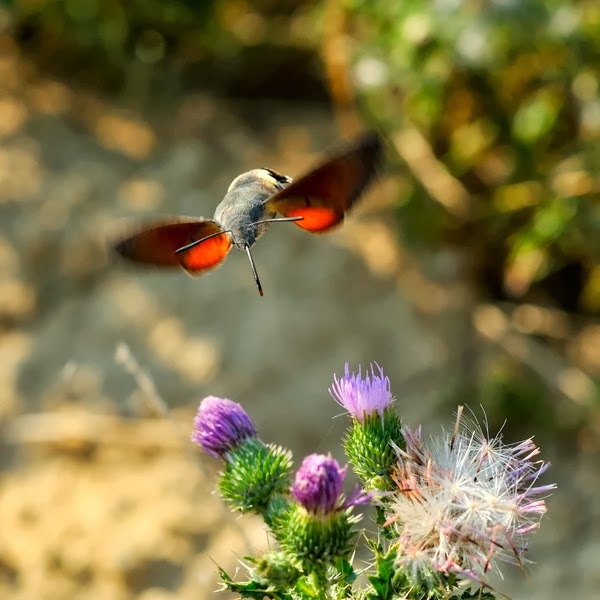 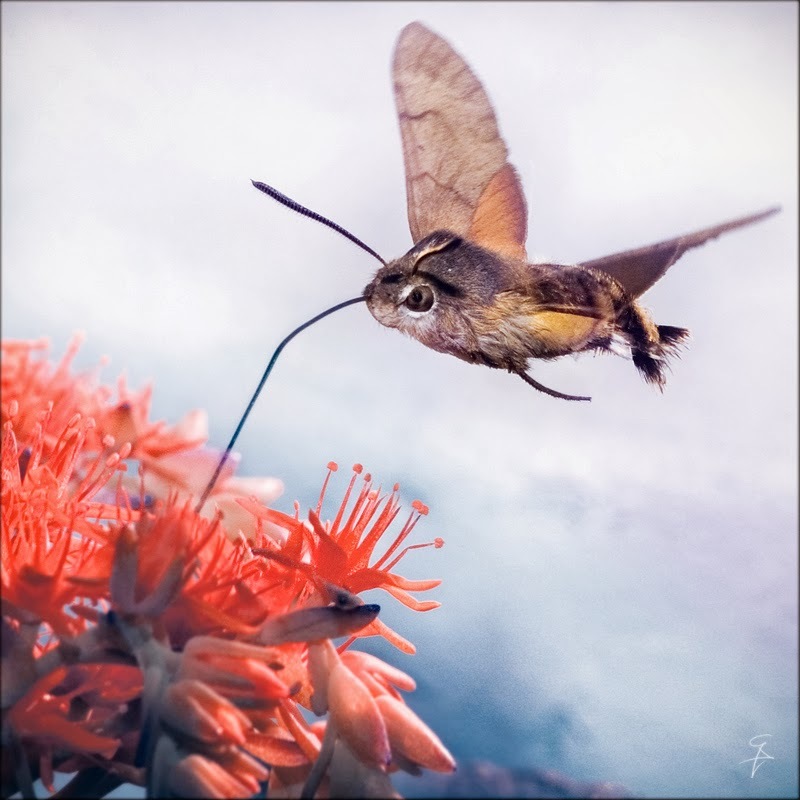 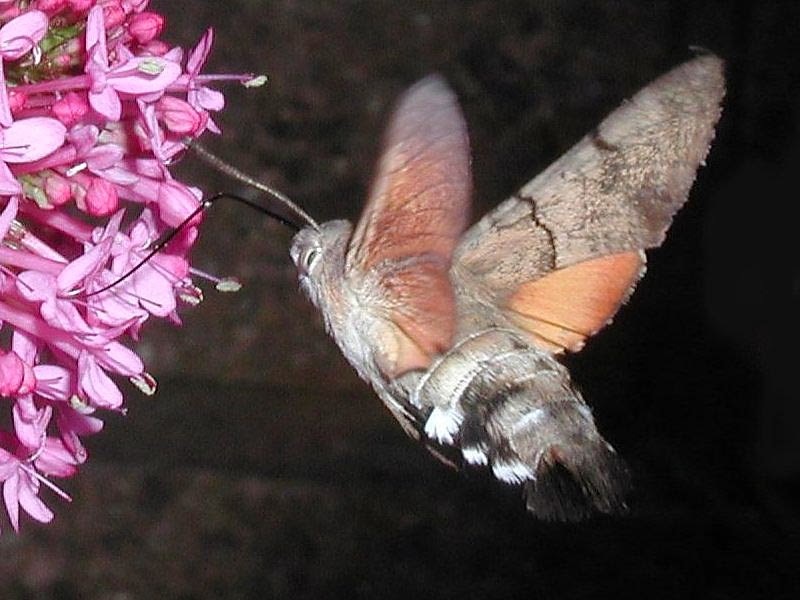 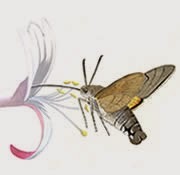 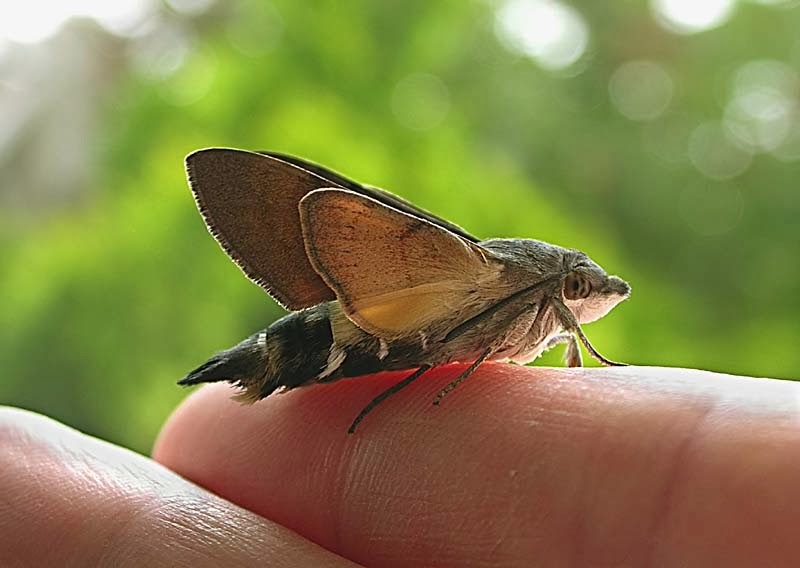 Macroglossum stellatarum, known as the hummingbird hawk-moth or sometimes the hummingmoth, is a species of Sphingidae. 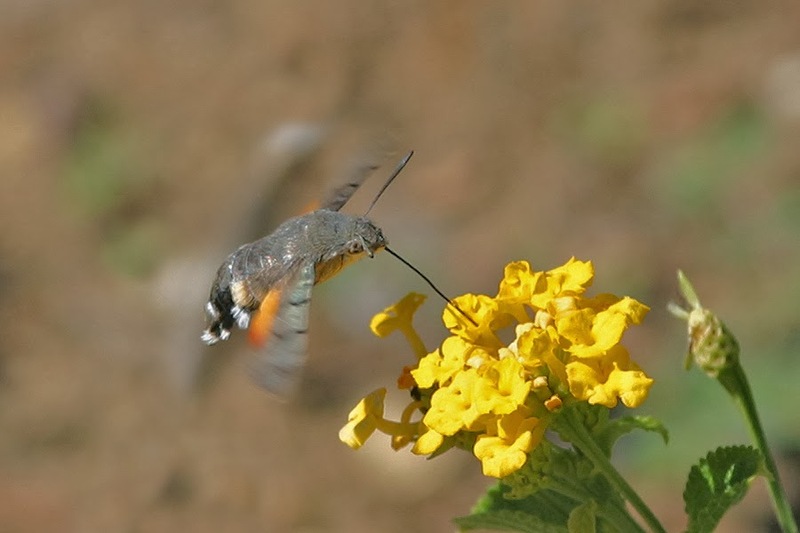 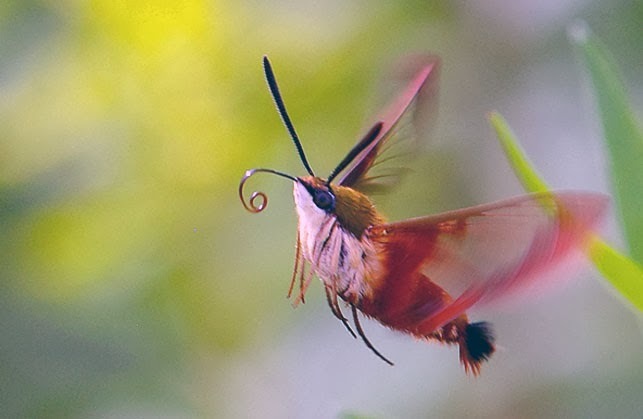 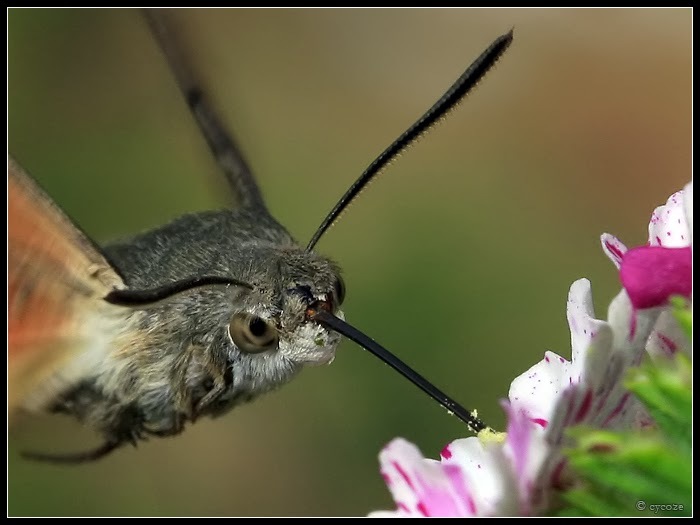 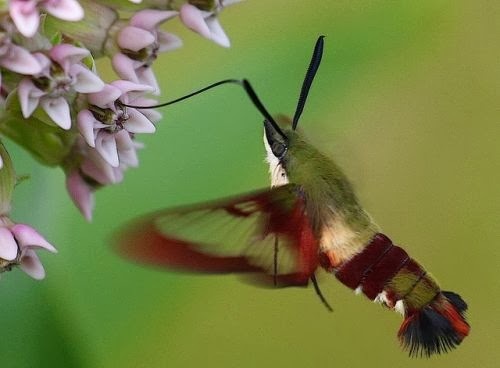 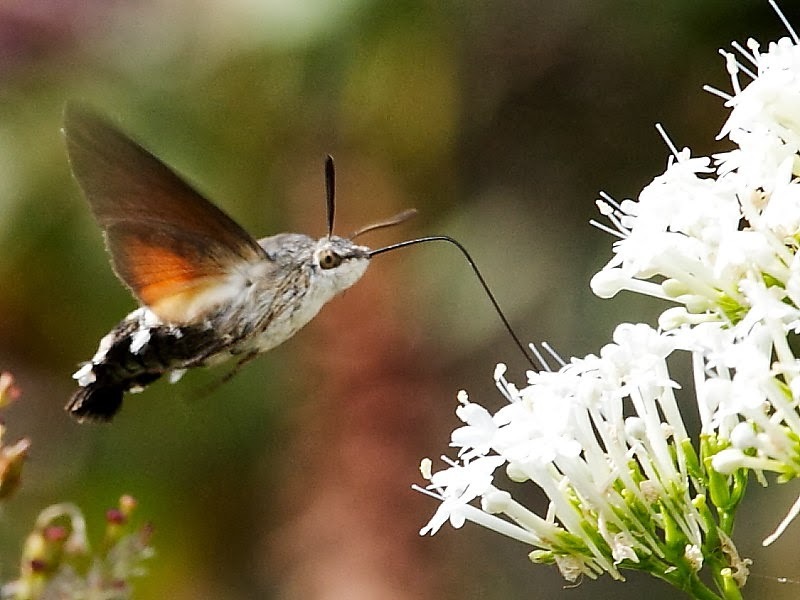 Its long proboscis and its hovering behaviour, accompanied by an audible humming noise, make it look remarkably like a hummingbird while feeding on flowers. 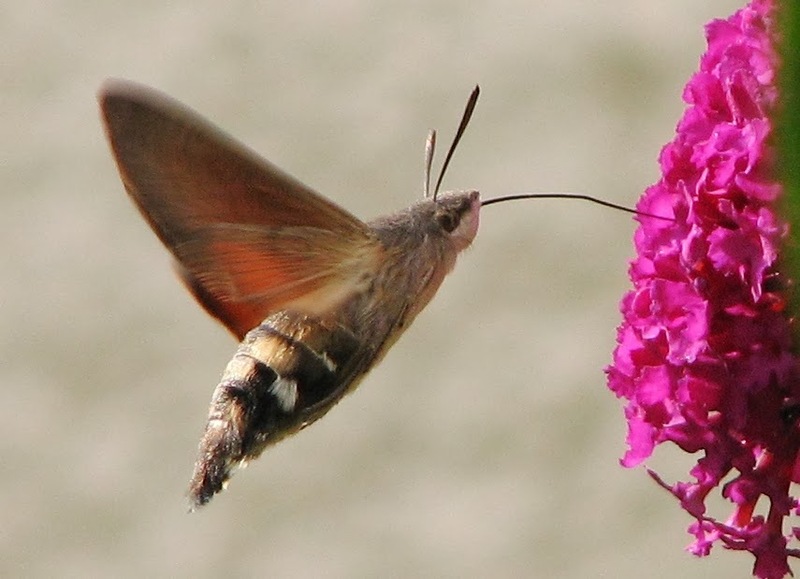 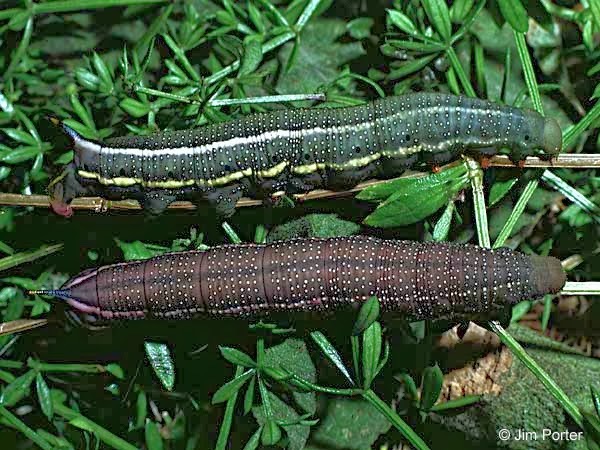 It flies during the day, especially in bright sunshine, but also at dusk, dawn, and even in the rain, which is unusual for even diurnal hawkmoths. 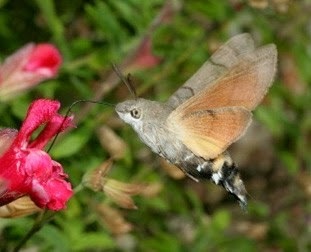 Its visual abilities have been much studied, and it has been shown to have a relatively good ability to learn colours.